FC Barcelona coach Ernesto Valverde began his preparations for this weekend's Copa del Rey final against Sevilla in a Thursday training session at the Ciutat Esportiva. The squad had been given a day off following the Tuesday night draw against Celta Vigo. One of the available first team players was Ivan Rakitic, who has been given medical clearance to return to training following a metacarpal operation. Also training with the group was Carles Aleñá from Barça B. 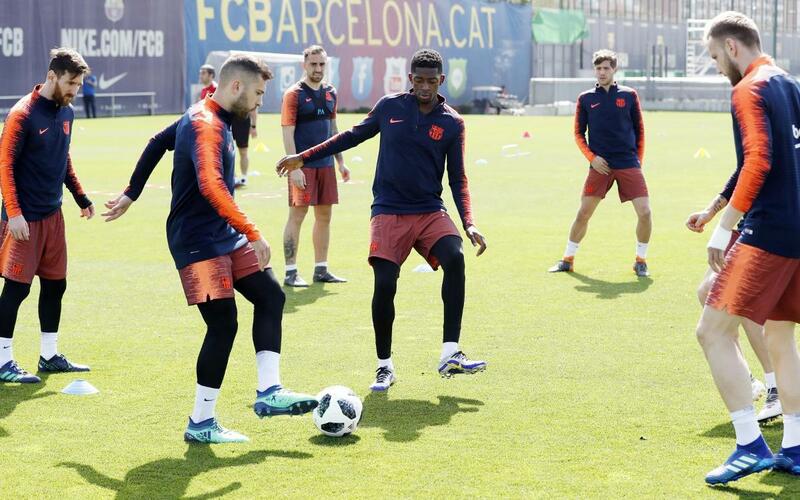 During the morning, the Spanish Agency for the Protection of Health in Sport (AEPSAD) tested the blood and urine of Samuel Umtiti, and the blood of Ter Stegen, Piqué, Iniesta, Messi, Paulinho, Jordi Alba, Digne, André Gomes and Vermaelen.